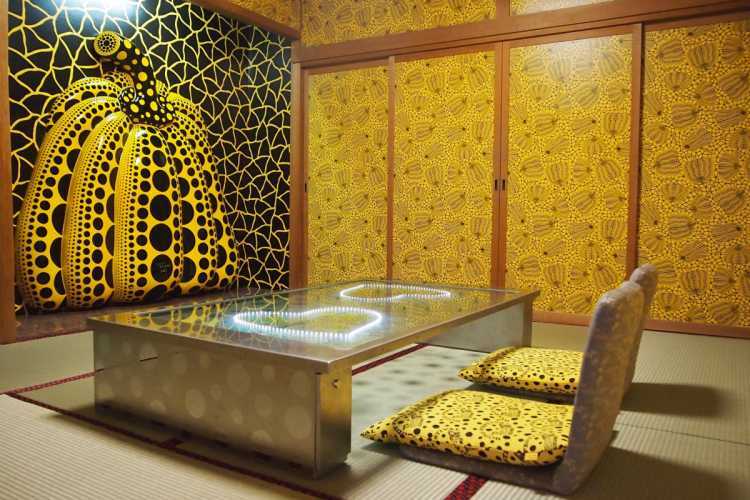 The dotted yellow pumpkin is a popular design of Yayoi Kusama. And the red room is designed by her when young. Of course, you can stay here. 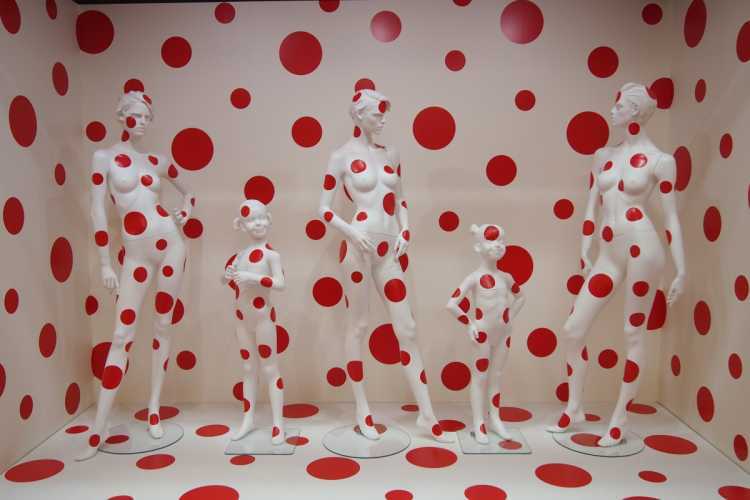 This café is designed in connection with a art work 'Dots Obsession'. The artist name is famous of course, and the work itself arouses my curiosity.